2. Enlarged tungsten carbide blade guide. 3. An efficient PLC and high quality components are adopted for electrical control system. •Casting structure assures machanical strength. • Full blade cover provides more safety. 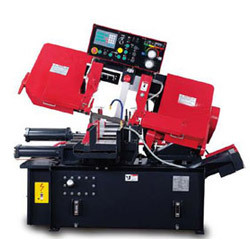 • 4 steps belt speeds allows different cutting speed. •Slideways are hardened, precision ground, then coated with Turcite-B for maximum wear resistance. •All castings are FC25 high quality material, anneal treated to relieve internal stress. •8 speed gearbox with big speed range 75-3140rpm. 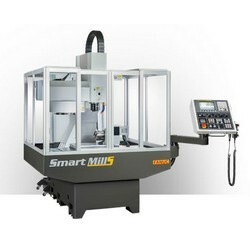 •Helical gears for smooth, quiet operation. 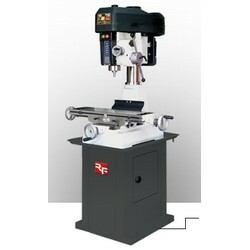 •Right and left hand rotation allows tapping operations(optional tapping function). 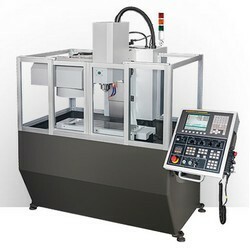 •MT-3 spindle taper with tool quick eject system. •8 speed gearbox with big speed range 75-3150rpm. * Casting structure assures machanical strength. 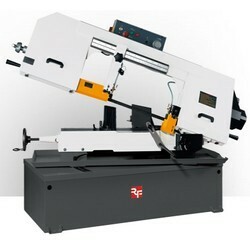 * Adjustable cutting speed from 0 degree to 45 degree. * Full blade cover provides more safety. 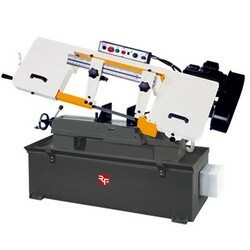 * 3 steps belt speeds allows different cutting speed. •Adopts mechanic switch with forward/ reverse functions and longer service life with low damage. •The arm is made of high-class cast-iron. Arm slide is under strick heat-treatment and grinding. 1. 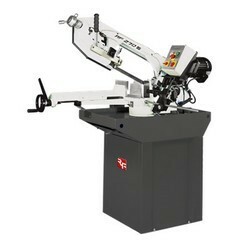 New type one-piece stand cooperated with swivel control box for very convenient operation. 2. 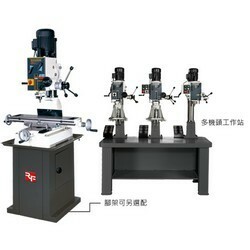 High efficiency gear drive system cooperated to variable step pulley provides fast changing speed. 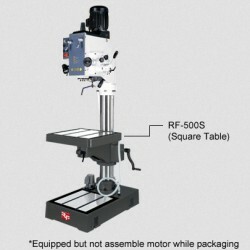 •Rapid spindle speed changes thru quick-select gear shift levers-no belts to tool with. 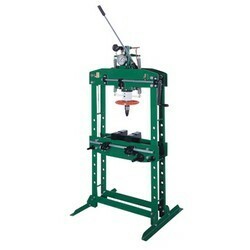 •Fast feed spindle/quill handles and a fine feed handwheel dial for wide range control. •Cutting angle from 0 degree to 60 degree. 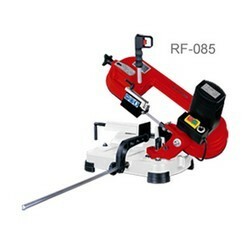 1.Adjustable left cutting angle from 0 to 60 degrees. (RF-085: 0 to -45 degrees). 2.Motor with digital electronic speed regulator "Constant Speed". 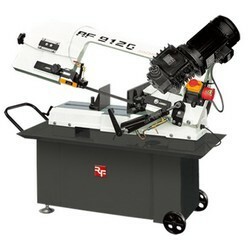 3.Powerful 1250W single phase motor with digital electronic, speed regular. Casting structure assures machanical strength. 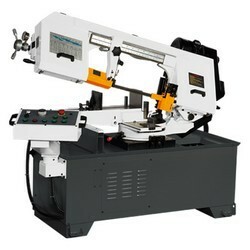 Adjustable cutting speed from 0 degree to 45 degree. 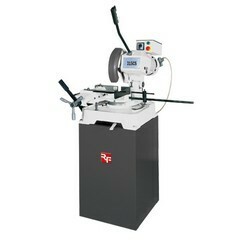 * Casting base and blade wheel jointed with heavy gauge steel saw bow performs excellently with economic cost. 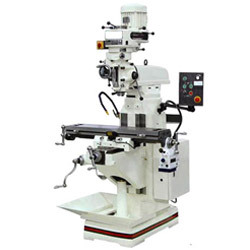 •This european type drilling machine brings excellent performance. 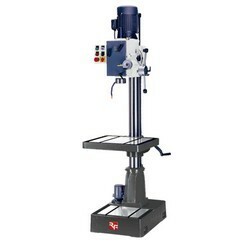 •Spindle nose to column surface allows 250mm depth. 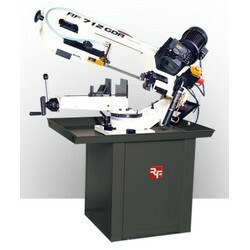 •Can also select swivel vise table (RF-19R). 2.Slideways are hardened, precision ground, then coated with Turcite-B for maximum wear resistance. 3.All castings are FC25 high quality material, anneal treated to relieve internal stress. 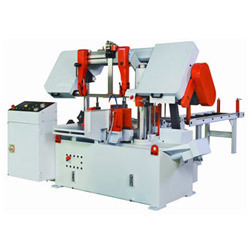 1.This feature packed machine is ready for your shop. 2.Comes with a coolant pump, powerdown feed,and easy selection speed controls. 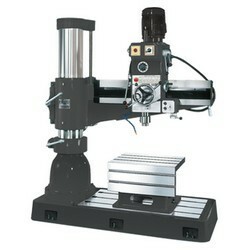 2.Powerful 1 1/2HP motor, MT3 Spindle taper. 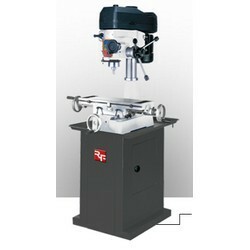 3.Optional stand/2 speed motor for selection. 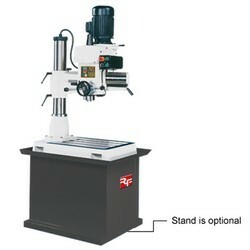 2.Can also select swivel vise table for more performance. 3.C model for cross table, S model for square table. 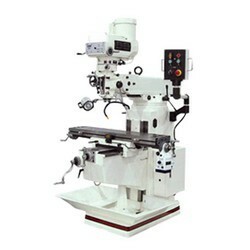 1.Geared Head Milling/drilling machine with VARIABLE speed. 2.Head tilts left/right for increased versatility. 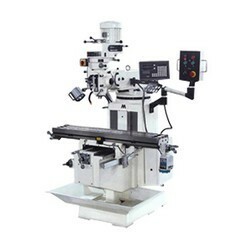 3.Full power to the cutting tool through 6 speed geared head. 4.Square column with dovetail ways on RF-45. 2.Rapid spindle speed changes thru quick-select gear shift levers-no belts to tool with. 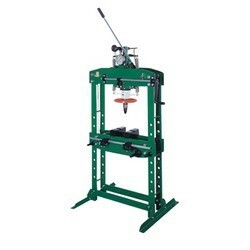 3.Fast feed spindle/quill handles and a fine feed handwheel dial for wide range control. 1.Cutting angle from 0 degree to 60 degree. 2.Adjustable blade guide for high precision and long blade life. 3.Stand jointed with water pan for collecting chip and water. 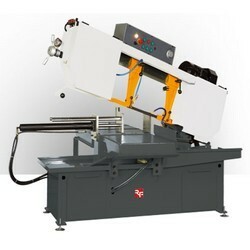 4.Coolant system for wet cutting. 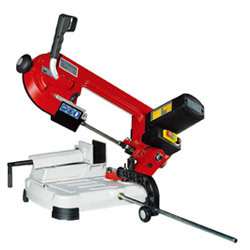 1.Casting base and blade wheel jointed with heavy gauge steel saw bow performs excellently with economic cost. 2.Fully adjustable hydraulic downfeed controls the rate of descent. 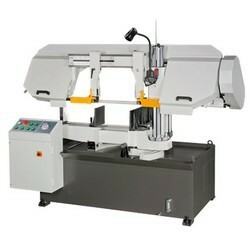 2.Cutting angle from 0 degree to 60 degree. 3.Adjustable blade guide for high precision and long blade life. 4.Stand jointed with water pan for collecting chip and water. 1.Casting structure assures machanical strength. 3.Full blade cover provides more safety. 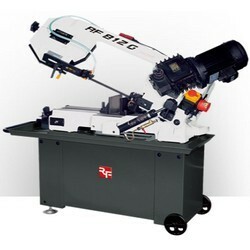 4.Gear drive system provides speed changing when saw blade is in unload running. 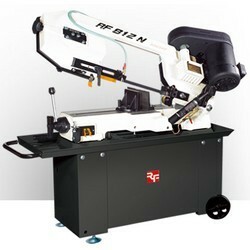 1.Can be operated manually. No electricity is needed. 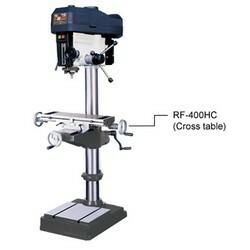 2.Work table can freely adjust working distance (up-down) as per the size of work piece. 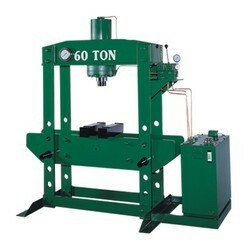 1.Manual hydraulic operation; No electricity is needed. 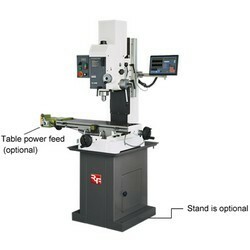 2.Work table can freely adjust working distance( up-down) as per the size of work piece. 1. 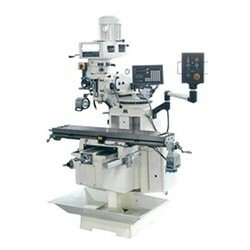 Work table can freely adjust working distance (up-down) as per the size of work piece. 1. Adopts mechanic switch with forward/ reverse functions and longer service life with low damage. 2. The arm is made of high-class cast-iron. Arm slide is under strick heat-treatment and grinding. •Dual Swivel cutting angle from 0~+-60 degress. Can fix the position every 5 degrees. •New type one-piece stand cooperated with swivel control box for very convenient operation. 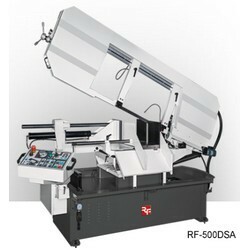 •Cutting angle from 0 degree to +45/-60 degree. 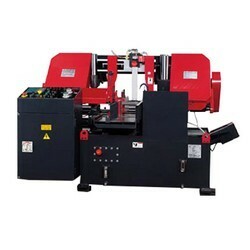 • Coolant system for wet cutting. 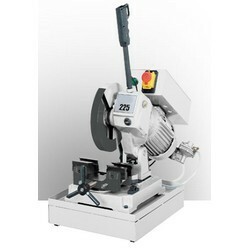 • Gear drive system provides speed changing when saw blade is in unload running. •Full blade cover provides more safety. 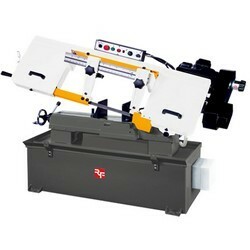 •4 steps belt speeds allows different cutting speed. 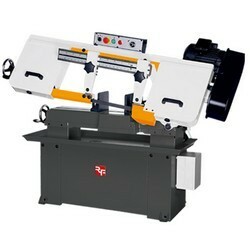 •3 steps belt speeds allows different cutting speed. •Bench type. 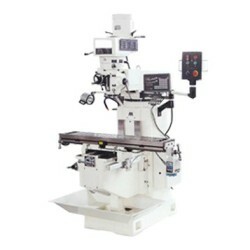 Equipped with quick lock vise and coolant System. 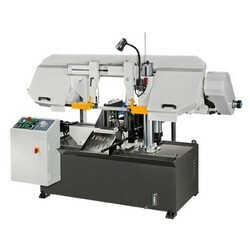 •Very easy to use and it ensures a smooth and precision cutting. 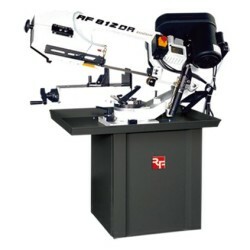 •Larger working platform and rear roller table enhance working convenience. 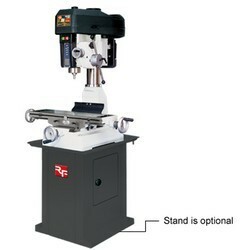 •Deluxe stand stabilizes the machine body. •High efficiency gear drive system cooperated to variable step pulley provides fast changing speed. 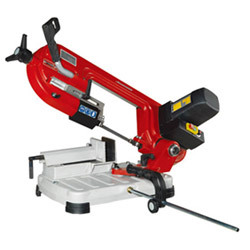 •Casting base and blade wheel jointed with heavy gauge steel saw bow performs excellently with economic cost. •The chip tray stand jointed with saw base. 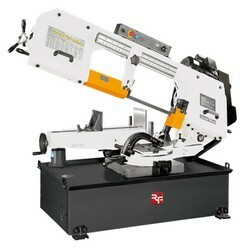 It can swivel with saw bow and no need to move workpiece. 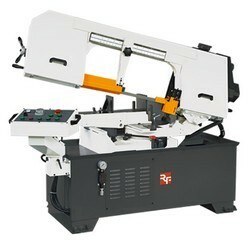 •With powerdown feed, this fine quality machine offers maximum versatility. 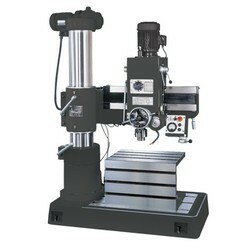 •Can be used for milling, drilling, routing, boring, cutting keyways and many other routine light-duty operations. 1. 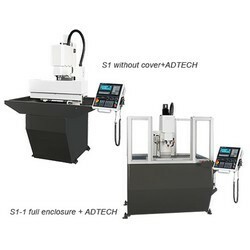 Equipped with quick lock vise and coolant System. 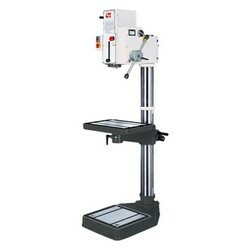 Floor stand for optional selection. 2. 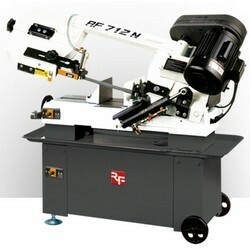 Very easy to use and it ensures a smooth and precision cutting. 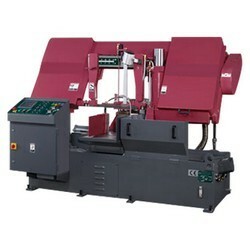 •This fine quality machine offers maximum versatility. 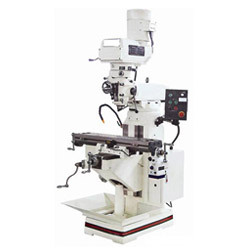 •This light duty belt milling drilling machine offers maximum versatility. •Spindle is equipped with four heavy-duty tapered roller bearing. •Head swivel 360 degree and is easily raised and lowered. 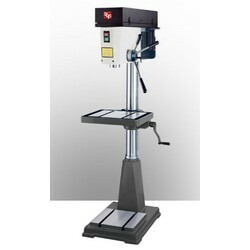 •Heavy duty stand for optional selection. 2.The chip tray stand jointed with saw base. 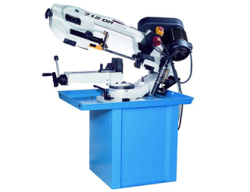 It can swivel with saw bow and no need to move workpiece. 1. Equipped with cooling system. 2. Slideways are hardened, precision ground. 3. All castings are FC25 high quality material, anneal treated to relieve internal stress. 2.Slideways are hardened, precision ground. 1. 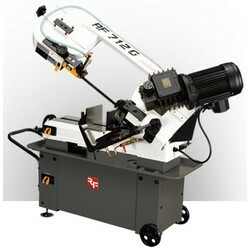 Adjustable left cutting angle from 0 to 60 degrees. 2. Motor with digital electronic speed regulator "constant speed". 3. 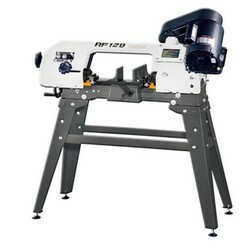 Powerful 2000W single phase motor with digital electronic, speed regular. 3. 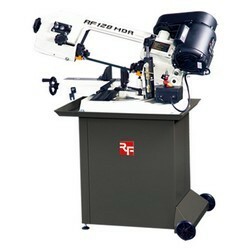 Powerful 1250W single phase motor with digital electronic, speed regular. 1. Casting structure assures machanical strength. 2. 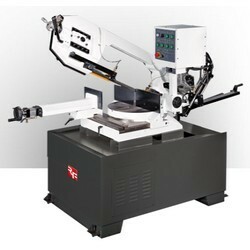 Adjustable cutting speed from 0 degree to 45 degree. 3. Saw bow with spring structure. 4. Full blade cover provides more safety. 5. 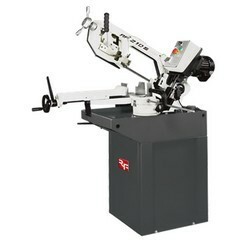 3 steps belt speeds allows different cutting speed. Full blade cover provides more safety. 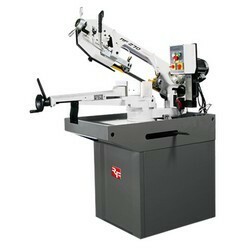 4 steps belt speeds allows different cutting speed.